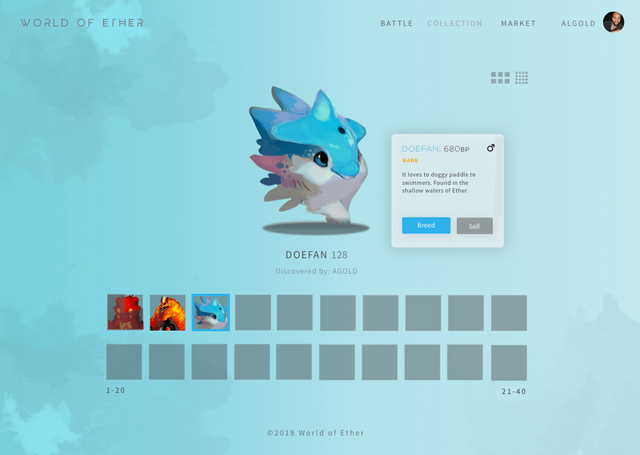 World of Ether: Interactive Monster Breeding, Fighting, Markets, and Discovery brought to the BlockChain! 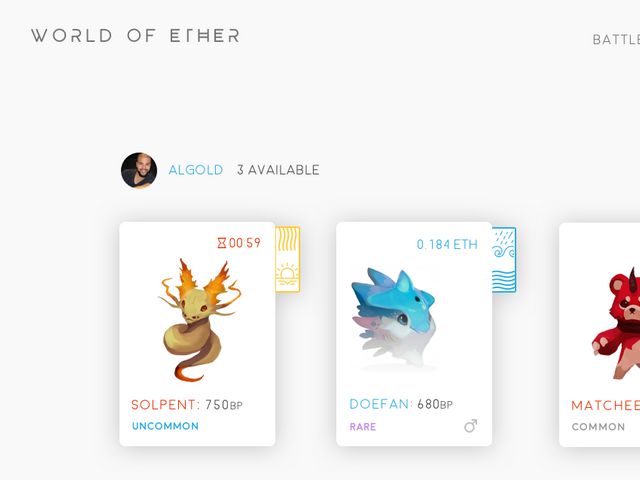 What is World of Ether? What can players do with their monsters? Monsters can be bred to create more monsters, battled to increase the player’s level which unlocks the ability to breed rarer and more powerful monsters, sired (if male) for ETH, and sold on the marketplace for ETH. What’s the advantage of buying eggs in the egg pre-sale? Eggs increase in price by 15% upon launch of the full game in order to increase reliance on the monster marketplace. The egg presale buyers will be hatching and breeding the first monsters on the marketplace, which new players are incentivized to purchase by there being a very high egg price. Presale eggs have other advantages as well. 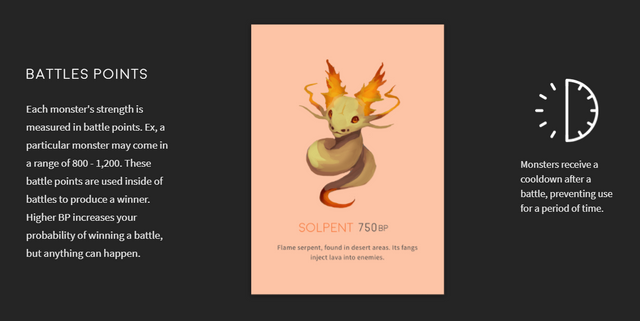 Monsters that hatch from these eggs have no cooldown period for the first breed (subsequent breeds, however, do have a cooldown period) and presale eggs are also more likely to hatch rarer and stronger monsters. How much can monsters be sold for? The price of monsters is entirely set by the market and the players on it. Players set the price of the monsters they sell. How much can monsters be sired for? A player can sire a monster for whatever price the player likes, as long as another player is willing to pay that price. What does it mean to discover a monster? 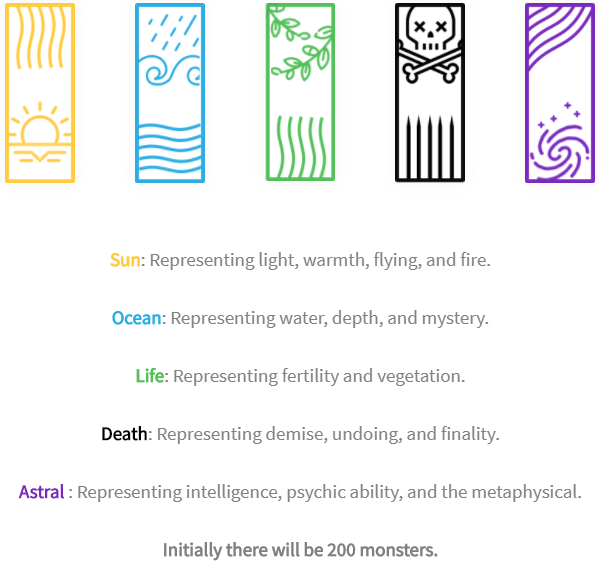 The player that discovers a monster has his/her username recorded next to that monster for all to see. That player is forever credited as being the monster’s discoverer. To collect monsters, obtain eggs by breeding, purchasing from the marketplace, or the Egg Pre-Sale. Eggs take a short time to hatch. What are the advantages to being decentralized across the Ethereum network? ● Any game mechanic’s code, after release of the full game. Are any eggs reserved for promotional purposes? 5,000 eggs will be reserved on a 1 year vesting schedule for promotional purposes. When will World of Ether be released? World of Ether is scheduled for release in mid-to-late April of 2018. 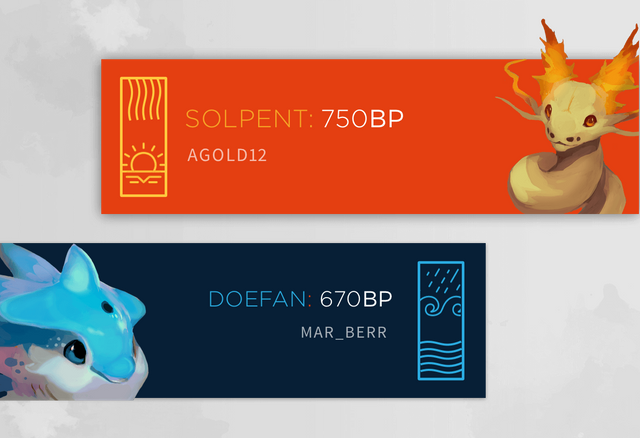 Right Now might be the PERFECT time to load up on World of Ether Eggs! Finally, welcome to Steemit buddy! I'm two parts in to a Steemit Beginner's Guide that you might find helpful. If you have any questions, you know where I am! I'm gonna finish the guide this week and maybe post a revised edition, the first part explains the Steemit platform in detail, and the third part will go over the different ways to promote and how to use the many different services and bots people have made. It's definitely a platform with potential! I post a weekly ETN update here, so if you fancy sharing it to your followers sometime I'd really appreciate it! Looking forward to reading what you have to say! Peace! I love Ethereum based games. Was slightly addicted to cryptokitties. I am stoked to see where gaming goes with the blockchain! I am seeing some exciting new projects being developed. Thanks a million for the upvote and the follow, I will certainly return the favor! I'm the gamer that ends up spending all their time in the auction house. If blockchain allows in game economies to be trade in crypto I'll probably never leave my computer. Lmao! You and I both! Did You notice You just traded one MMO for Another? Here I thought I kicked My gaming addiction and had done Myself a favor. Instead of running Guilds I build Community here in Crypto. Also worth noting that World of Ether has the entire in game economy. Essentially every item or monster is simply a smart contract. Super simple! I am only worried about scalability on Ethereum due to what We saw with Crypto Kitties. The Eggs are at a steal price due to ETH going down in value so much recently. The pre-sale eggs go up in price by 15% every time an egg sells! Congratulations @white.coins! You received a personal award!